We are thrilled to be able to announce that Silver Magazine is officially a media sponsor for the very exciting Women Over Fifty Film Festival. In 2016 Directors UK found that of 2,500 films made in the UK over the last 10 years, only 13% were directed by women. Not only that, we were disappointed to learn that on average, female directors will direct fewer films in their career, and are less likely to receive a second, third or fourth directing job. In other words, numbers are low for women directors in general but they get even lower as women age. It’s time to do something about this! Whilst we champion talent from both (all!) sexes here at Silver, we think perhaps it’s time to redress the balance a bit? The Women Over 50 Film Festival (WOFFF) is an international film festival aiming to redress this age and gender imbalance. This celebration of women over 50 in front of and behind the camera is launching its third annual weekend of films and activities for older women and their friends. The festival takes place on 16th & 17th September 2017 in Brighton, East Sussex, UK and organisers are now putting out the final call for global short film submissions. More than 90 have been received to date from all over the world and the deadline for submissions is 31st July. Festival Director Nuala O’Sullivan said: “One of our goals this year is to reach a wider, even more diverse audience. 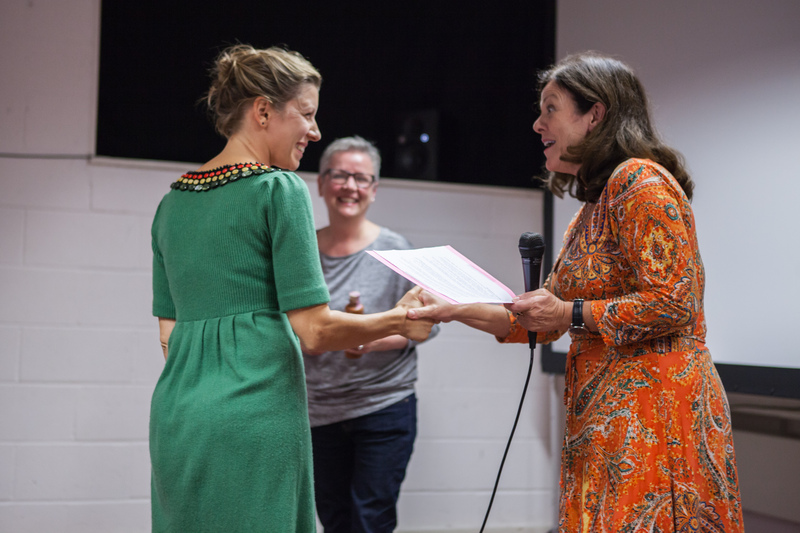 We want to raise awareness of our film festival – how it deals with age and gender issues, as well as how it tackles older people’s social isolation in Brighton, the UK and beyond. We want to invite people to become part of the WOFFF family as festival filmmakers, audience members, workshops participants or, for those not able to attend the festival, as part of the WOFFF online community”. This unique two-day festival will also feature an all-female panel event, filmmaker Q&As, and workshops on making a film on your smart phone. Plus the tips and tricks of shooting great drama from TV director Tracey Rooney (Holby City and Coronation Street). We’re very much looking forward to the launch of WOFFF on Thursday 14 September with a screening of Mamma Mia! at the Duke of York’s Picturehouse at Preston Circus Brighton. This is the perfect choice as it not only stars three strong, older women – Meryl Streep, Julie Walters and Christine Baranski – but also has three strong, older women behind the camera – writer Catherine Johnson, producer Judy Craymer and director Phyllida Lloyd. It’s a Silver tour de force! WOFFF closes on the Sunday evening with an awards ceremony and jury prizes for all winning filmmakers for several categories including Best Drama, Best Experimental film and the all-important Audience Choice Award. If you have an entry to submit you can do so by clicking HERE and here at Silver we’d love to hear about it too so let us know if you get involved!